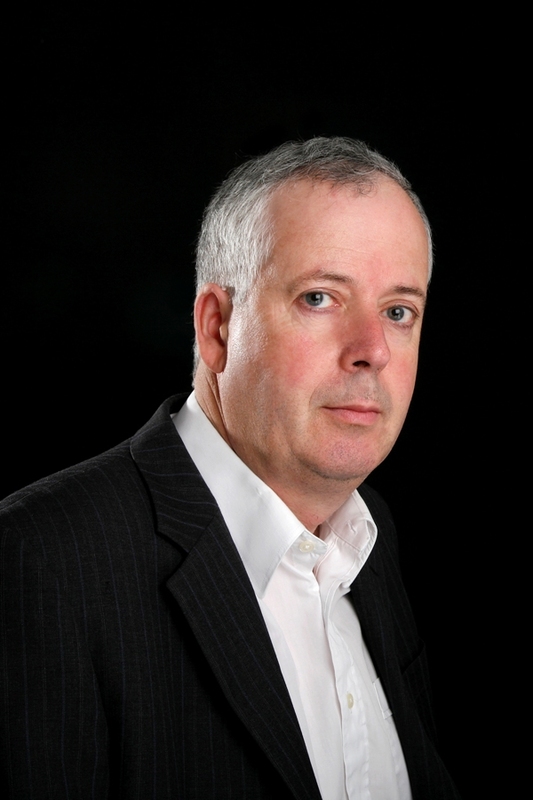 If you are taking an assessment to prove your competence as a supervisor in an industrial plant, and you get all the questions right except the health and safety ones, should you pass the test? Probably not. Some topics can be more important than others, and testing should reflect that fact. 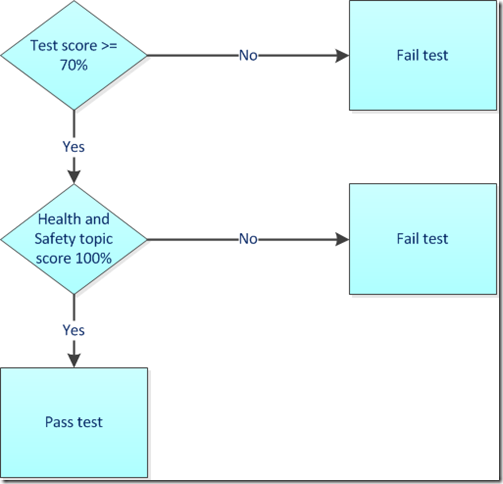 In most tests, a simple passing score is set, and all that is required to pass the test is for the participant to achieve the passing score or higher. The logic for this is that success on one item can make up for failure on another item, and so skills in one area are substitutable for skills in another. However, there are other tests where some skills or knowledge are critical, and here you might want to require a 100% score in the key or “golden” topics as well as a pass score for the test as a whole. 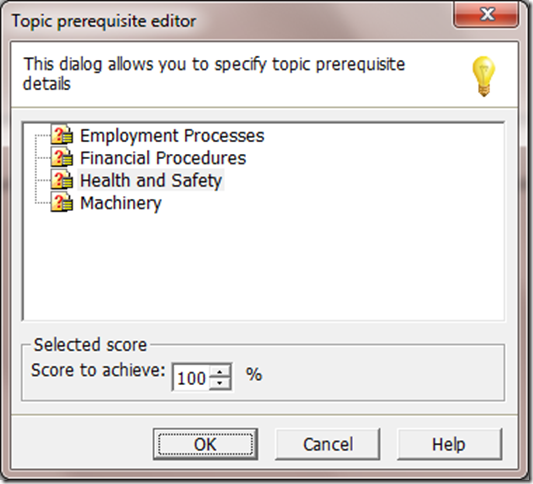 This is easy to set up in Questionmark Perception using the topic prerequisite capability. Simply ensure that the questions you want people to score 100% on to pass the test are in separate topics or subtopics. Then when you create the assessment, edit it in Authoring Manager to ensure that passing the assessment has a prerequisite for this or these topics of 100%, as in the screenshot below. For example, you could set up a test where people pass if they score 70% on the test as a whole but also score 100% in the Health and Safety topic. The flow chart below shows how this works: Someone will only pass the test if they achieve both the passing score and the topic prerequisite score. You can have a single topic prerequisite for a test or multiple topic prerequisites. 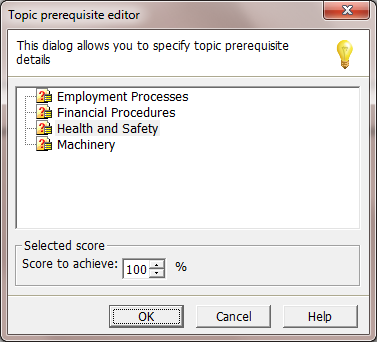 And as well as using topic prerequisites at 100% as shown here, you can also set them to other values. For instance, if you set a topic prerequisite for each topic of 60%, you could ensure that the test was passed only if someone scored 70% on the assessment as a whole and also a minimum of 60% on each topic. I hope you find topic prerequisites useful in your assessments.